Darkness getting you down? Take D drops! 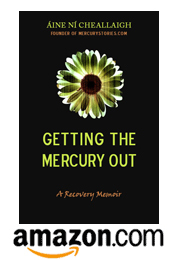 This post is for everyone–not just my mercury toxic readers–so listen up! Have you been outdoors recently? Was it during daylight hours? Probably not, right? And even if you were outside, it was probably a gray day and you were all bundled up in a million layers. Not a ray of sunshine has made it onto your bare skin in months, I’m guessing. And that is a perfect way to get a great big case of vitamin D deficiency. Vitamin D is kind of a crazy vitamin. We humans don’t need to absorb it by eating it in our food because we manufacture it in our skin when it is exposed to sunlight. (What are we? Some kind of plants?) If you want the technical specifics, vitamin D is synthesized from 7-dehydrocholesterol in the stratum basale and stratum spinosum layers of the skin when they are exposed to UVB light at wavelengths between 270 and 300 nm. You don’t have to be a scientist to figure out that 300nm of UVB light is a scarce commodity here in New York state in February. People, I’m here to tell you that our internal stores of sunshiny vitamin D are running low. And do you know what happens when vitamin D runs low? Seasonal affective disorder. That’s right. The winter blues. I got my first real bad case of the winter blues when I was still living in New York City. It was a winter like this one, without much snow. (Did you know that snow-free winters increase vitamin D deficiency? Snow is excellent at reflecting UVB light onto our skin). The dark, gray days mirrored my dark, gray mood and I went online to see if there was anything I could do about it. What I got for my trouble was a lot of articles and advertising about how I needed to spend hundreds of dollars on a full-spectrum light box that I was supposed to sit in front of for hours a day. I couldn’t afford to buy one at the time, so I just slogged through the winter, dreaming about long vacations in the Florida Keys. Why didn’t anyone tell me about vitamin D? Duh! Flash forward a few years and routine bloodwork showed that my vitamin D level was way too low. I started supplementing that winter and saw that I didn’t need an expensive light box–I just needed a $10 bottle of D drops. I didn’t experience a scrap of the “inevitable” winter depression that year and I haven’t any year since. It’s a lot cheaper than a light box, or a month-long trip to Florida, that’s for sure!